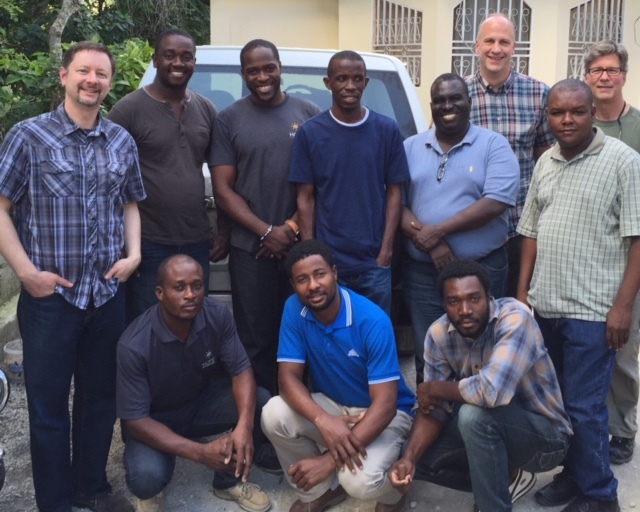 We have arrived back in Port-Au-Prince after three amazing days in southwest regions of Haiti. We experienced robust meetings with tremendous leaders, adventuresome SUV rides, and the precious privilege of seeing savings groups and businesses in action. Bryan, Jourdan and I are headed back to the US today. Immense thanks for all of your prayers and heartfelt encouragement for the team this week. In future posts and our upcoming Manor Church message series, H3, I will be sharing stories of God at work in the regions we visited. Our plane successfully escaped Philadelphia before the full fury of the snowpocalypse began its assault on the Northeast. 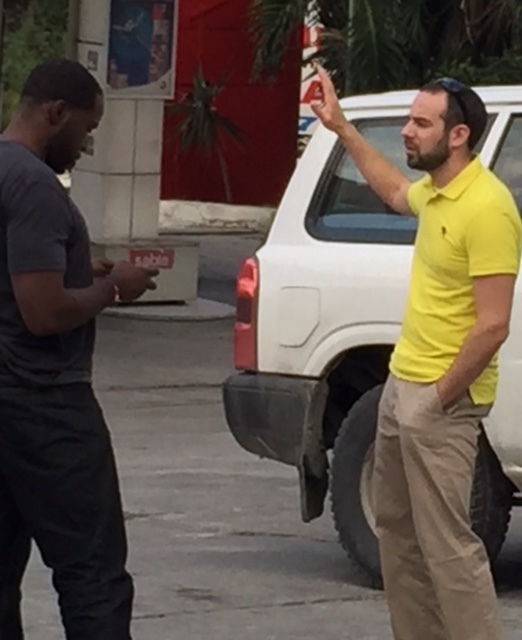 We safely arrived in Port-Au-Prince and are eager to explore more. 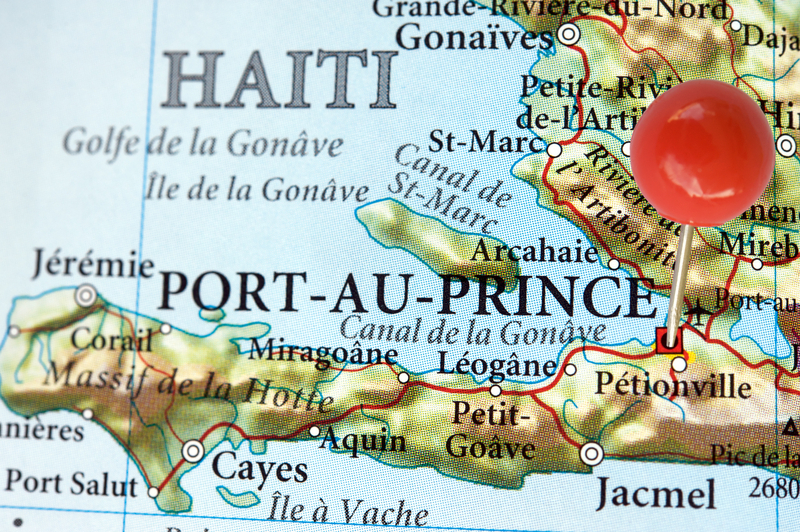 Our big aim with this adventure is to connect with new friends at work in Haiti and learn more about God’s work in various regions. Jourdan Martin, Bryan Gerlach, and I have embarked on this several-day journey. Last evening, we enjoyed a scrumptious dinner and highly engaging conversation with our oh-so-wise trip mentor and guide, Obed (HOPE International) and Rich, another Haiti-savvy individual. Approximately two years ago, Manor Church leaders began to prayerfully sense that God was prompting us to engage in a new global partnership. Thus launched a passionate process of exploring, praying, and seeking what shape that might take. We are excited to embark on this next leg of the journey, learn more, and build new relationships with people developing their work and families in the regions we will visit. We will do our very best in coming days, based on connectivity, to share updates. We are grateful to God and our gracious hosts for the opportunity to see much more of what God is accomplishing through the tremendous work of people in Haiti. >GREATER Things @ Work in ‘15! Second, search your confidence source: Where is my confidence placed—whom am I trusting to pull this off? If you’re counting only on your own UMPH and sweat to achieve those new business goals, you might as well add them to the dusty pile of yesteryear’s best intentions, never achieved. The writer of the New Testament book of Hebrews proclaims Christ Jesus to be greater than any other life focus, philosophical ideology, supposed power source, or past religious paths. In fact, Jesus is the one who is “sustaining all things by his powerful word.” (Hebrews 1, verse 3) If we believe Christ is truly leading, overseeing and empowering in such great ways—and if we believe “all things” include our workplaces—we must aspire to greater things in the New Year! Why would we hold back, dream small dreams, or expect less? What will you aspire to read, to strengthen your heart and skills? Whom or what group might you aim to serve? Whom will you aspire to mentor? Can you identify a new “garden” to plant, aiming for longer-term results? How can you develop healthier habits in both body and soul? Will you dare to do something you know will be very difficult, because you know it’s worth the price? Third, prayerfully plan: Make a sketch of your strategy for greatness. The old axiom still rings true: If you fail to plan, you plan to fail. 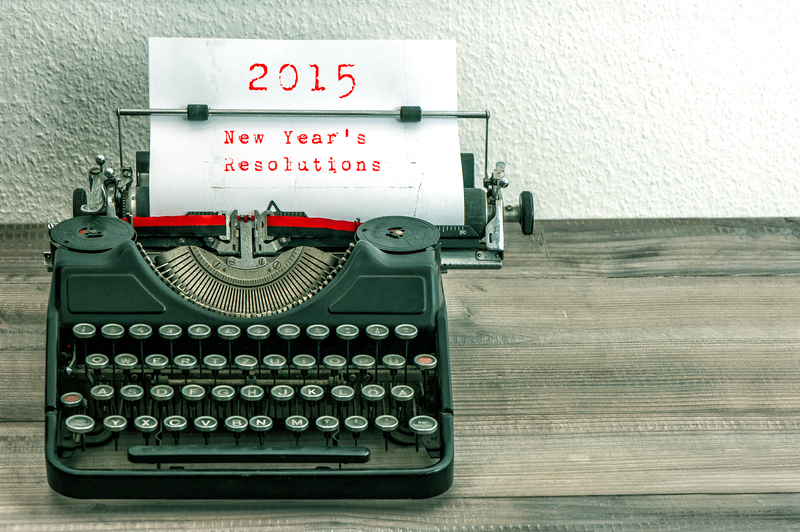 Like most people, I’ve been a quitter on a stack of resolutions. But there have been several aspirations—praise God—that I have actually achieved. Each of my own “Yea, God!” success stories were indeed infused with deep passion, confidence in Christ’s power, but also a deliberate action-bias. Try these strategic approaches with each of your aspirations. Keep your list of aspirations concise, ambitious yet achievable. Focus your energy on one, no more than three, new endeavors. With each aim, identify at least three doable action steps you will take during January through March. Write down the action steps and give yourself a date for completion. Prayerfully commit your plans to Christ each day. Ask him to guide, empower, and change your course where needed (that’s why it’s a sketch). And constantly pray that Jesus will be glorified in your new endeavor. With each new aspiration, name and invite three to five other people to help you make this endeavor become a reality. Committing to others for encouragement and accountability is vitally important. By mid-March, revisit your action steps and the list of people who make up your dream team. Revise your sketch strategy as needed. Get ready. By January 15th, enthusiasm will be waning as you struggle with feelings of inefficiency. You may feel less-than-productive or even totally incompetent, still lacking the necessary knowledge, skill or ability to achieve those greater endeavors. Ed Silvoso winsomely reminds us: “If your job is your ministry, then God, who appointed you as a minister, has a supernatural empowerment for you to be able to do it His way.” By February 1st, you will consider scrapping your greater aspiration(s) altogether. Here’s why placing your confidence in Christ makes the deeper difference. Remember, Christ is greater. He will sustain and empower you to aspire and achieve those greater things! Now gather your courage, and go put away those miserable Christmas decorations. James O. Prochaska, John C. Norcross, and Carlo C. Diclemente. Changing for Good: A Revolutionary Six-Stage Program for Overcoming Bad Habits and Moving You Life Positively Forward. (Collins: New York) 2006, pp. 41-44. Ed Silvoso. Anointed for Business: How to Use Your Influence in the Marketplace to Change the World. (Regal: Ventura) 2002, pp. 152-160.